Remembering the life of an artist who was a great talent with a great voice, Rap Attack’s AJ and Angelbaby gave their farewell and dedicated the entire show to Smash AKA T-Mac. Listen to the recap of the show and check out interviews from some of Baltimore’s best who knew Smash not only as an artist but as a friend and family member. Paying tribute to King Jaffe make sure you listen to and download the special Rap Attack Smash tribute mix. Its hard to believe. We are yet again forced to say good-bye to another one of our own. 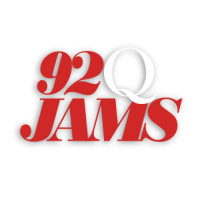 From the 92q family and the whole Baltimore City, our prayers are with Smash’s friends and family. Smash WE LOVE YOU…YOU WILL TRULY BE MISSED. A vigil will be held in honor of Smash Wednesday Feb 27, 2013 at City Of Gods located at 1118 Hollins Street in Baltimore from 6-10pm. Remembering A Legend: RIP Smash!! Disclaimer: This video contains explicit language. Viewer discretion is advised. Remembering A Legend: RIP Smash!! !